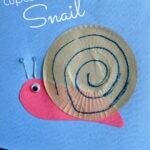 After making our CD Snail craft last week, I’ve been thinking of more fun ideas for ways to make snails. 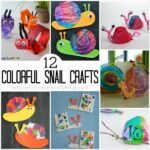 It’s been perfect timing for snail crafts too because my kids found some recently alongside a creek and were mesmerized by them. 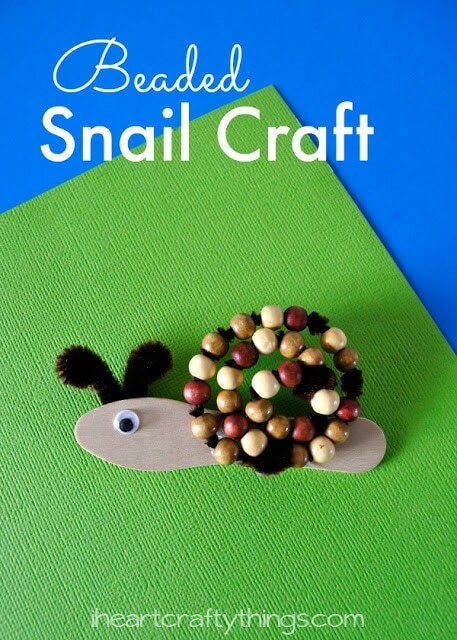 We’ve used beads before to create a dragonfly and lightning bug, and this time we created this cute Beaded Snail Kids Craft. 1. 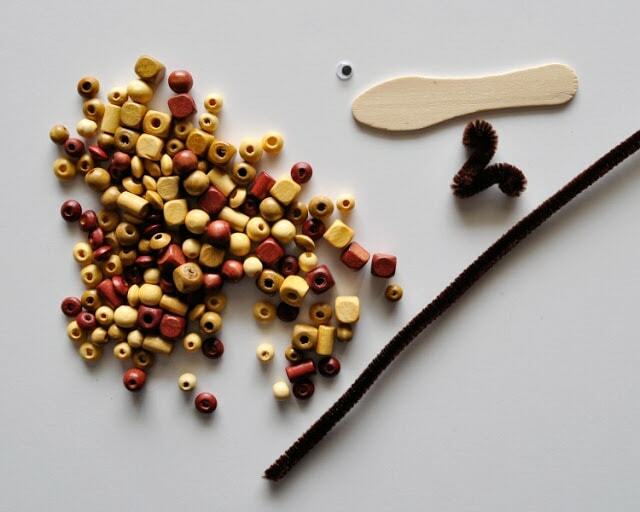 Start by threading one of your brown pipe cleaners with wooden beads. 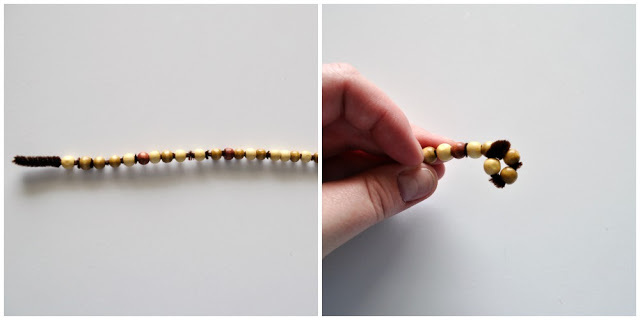 We used only one size of bead to make it look uniform, but you can be as creative as you want with the different beads. 2. Curl the end of your pipe cleaner to form a circle and wrap the extra pipe cleaner section around the beaded strand to secure it in place. Continue curling and bending the beaded strand around in circles to form a snail shell. 3. When you get to the end you’ll have the extra pipe cleaner section from the other end showing. 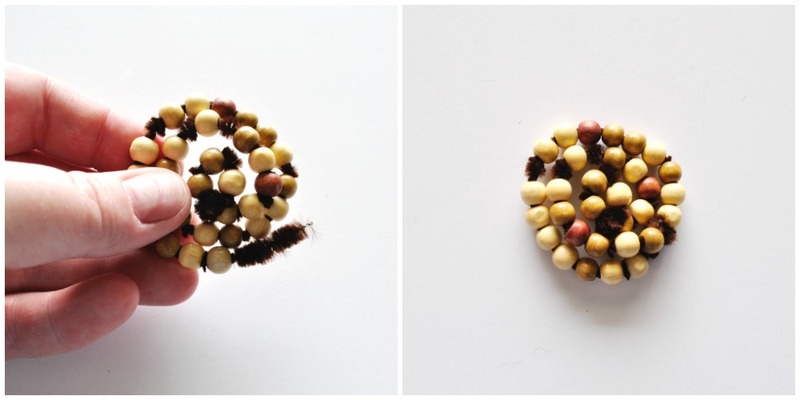 Wrap it around the beaded pipe cleaner to secure it and hold the beaded snail body in place. 4. Use the hot glue gun (adult supervision required) to glue your beaded snail body onto the scoop stick. 5. Cut a small section off of your other brown pipe cleaner (about 1/4 of it) and bend it in half. 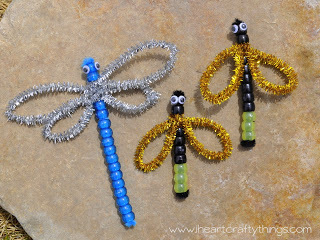 Curl the ends to make antennae and then use the hot glue gun to glue it to the back of the scoop stick at the front. 6. Finish your snail craft by gluing a small googly onto it’s face. We didn’t draw a mouth but you can certainly do that if you want to. 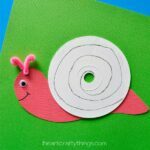 This fun snail craft is great for fine motor skills for preschoolers but it’s also just as fun for older children to make. Since there’s no painting involved, it would also make a great craft for summer camp. 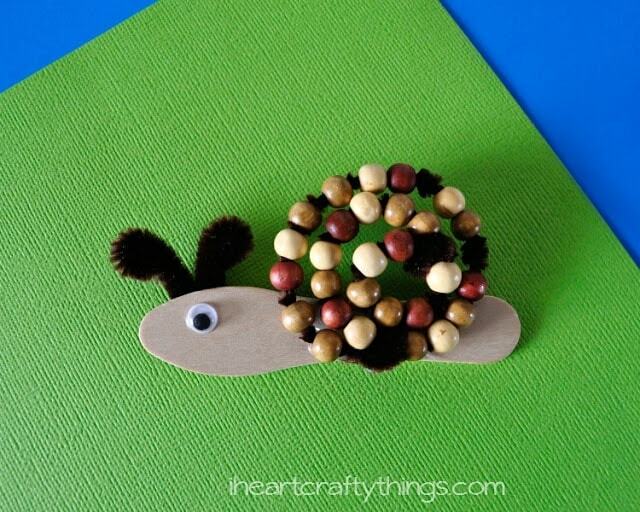 You could even make colorful snails by using colored pony beads.